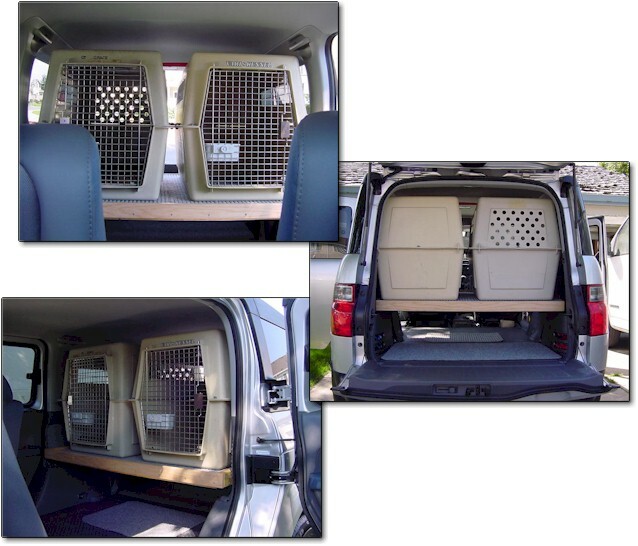 Can you fit two standard 400 crates side by side in a Honda Element? The first of the year we purchased a 2006 Honda Element. 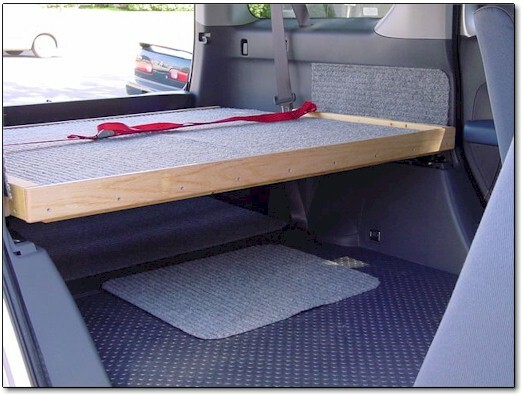 This is a basic box on wheels (literally), but it does have an amazing amount of room inside for such a small vehicle. It's dog friendly, no carpet so everything wipes down and dog hair is easy to dust out. The only issue, how to fit our two 400 crates in the backend? It won't happen on the floor, there is just not enough room between the wheel wells. However, if you get up over the wheel there is plenty of width. 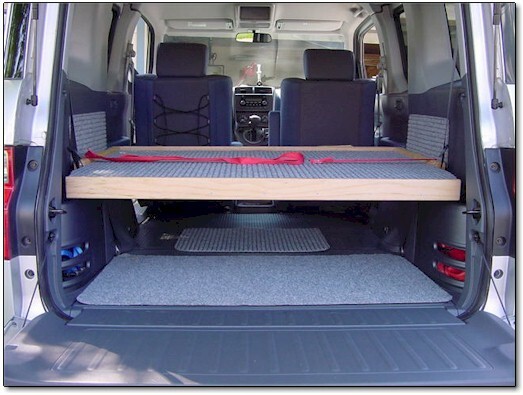 Because the Element has so much head room, there is still plenty of height for the creates above and you gain useful storage room underneath. With the rear seats removed, the platform mounts to the rails over the wheel wells where the seats normally attach. The back of the platform necks in slightly so that the rear storage bins are still accessible. Trimmed in Oak (of course). 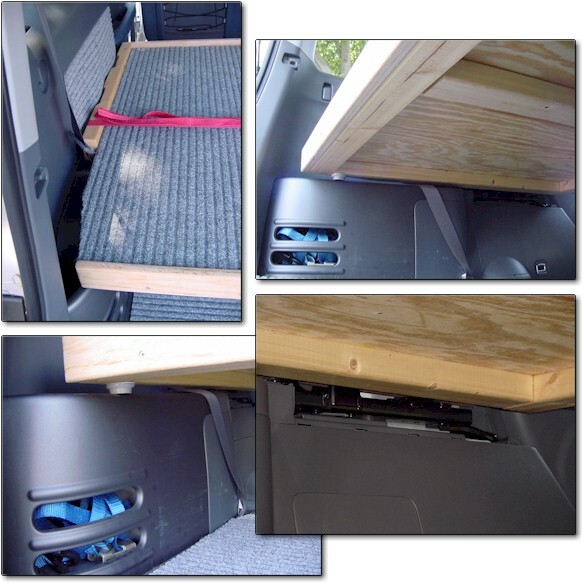 Honda Element with two 400 crates installed. 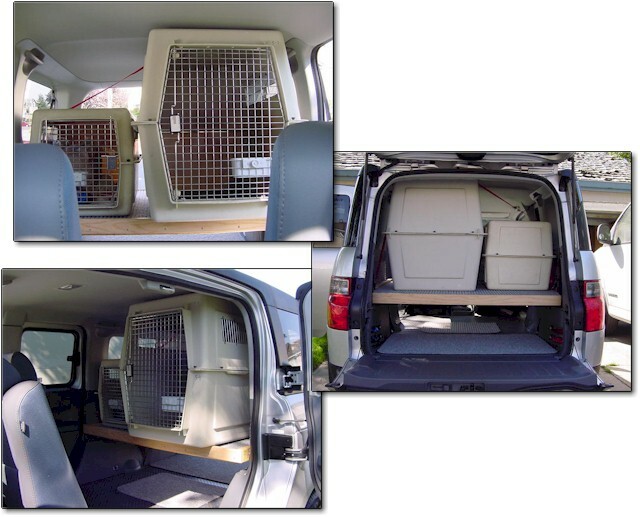 Honda Element with a 500 crate and a 250 crate installed. 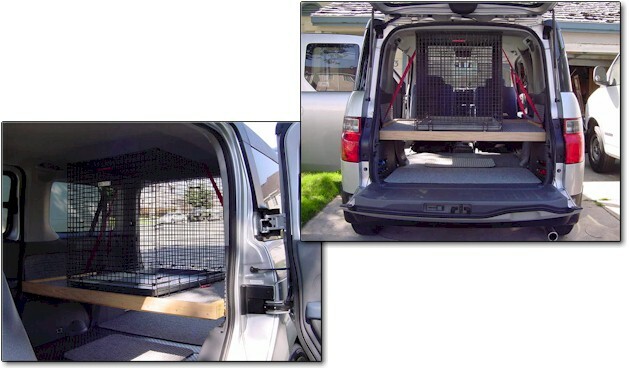 Honda Element with a Kennel Air 36 inch crate installed.